Do you remember, back in the day, running into an old friend in the grocery store? They’d start chatting you up about their three week, cross-country trip to Wally World and before you knew it, you’re at their house for a dinner party and a preview of their best 250 slides from the trip. And they’re not the best photos either. A finger over the lens, some random stranger in front of a sign, and every rest area you never wanted to see are included. Thankfully, a little social network saved us from hiding behind the creamed corn forever: Facebook. 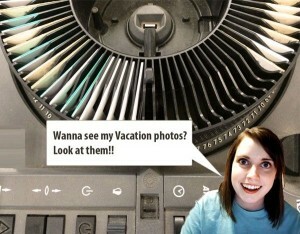 This is the problem with Facebook’s photo sharing. Are you ready? We, as a culture, no longer accept slow photo loading. If it takes too long for photos to load on a website, we bounce. We weren’t that interested in the first place. As users, Facebook has changed our expectations on uploading. We take photos from our phone and upload them instantly with decent enough quality. Boom. Done. Tagged, even. Thanks, Big Brother. So now come back to the world of small business, bloggers, and content marketing. Our world. Our website viewers have been snobified by the simple elegance of Facebook. And we have stories to tell and photos to upload. 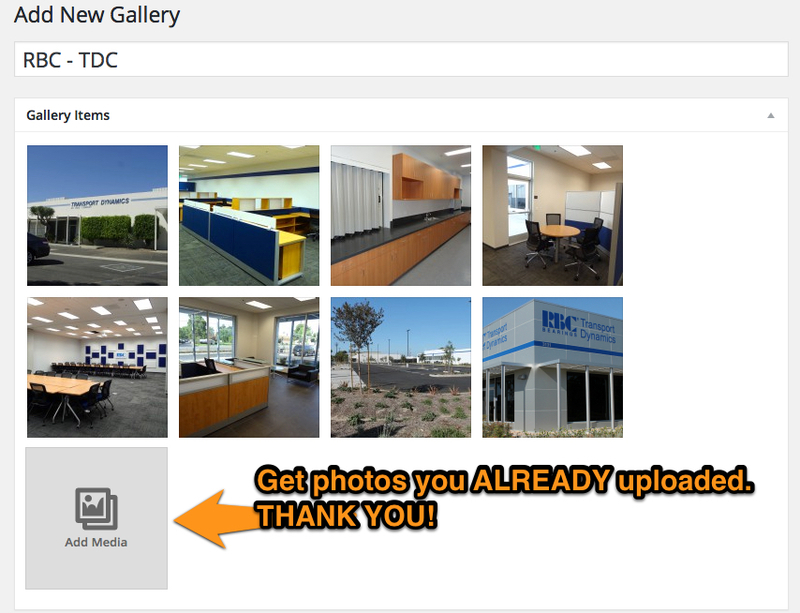 As a new-to-WordPress person and the content manager for a general contractor, photos frustrated me. I knew I needed them. They tell the story sometimes better than the words. Photos enhance our writing. And this is one of the beauties of WordPress. You can upload more photos. Here’s the thing. You worked hard to have that mobile-responsive site. You don’t want to slow it down with fifteen 800 x 300 photos. You need a gallery. And you know what a gallery means, right? Yep. A plugin. You get a gold star. I tried another plugin, whose name will not be revealed to protect the innocent. It was complicated. I had to re-upload my photos. I had to upload them in order. I had to re-write my captions. I had a nice looking website and a lame looking gallery. I was frustrated. No way did I have time to add this to my other pages. As soon as I found, installed, and activated the FooGallery plugin, I had to restrain myself from jumping out of my faux leather black office swivel chair. You know, safety first. Finally! 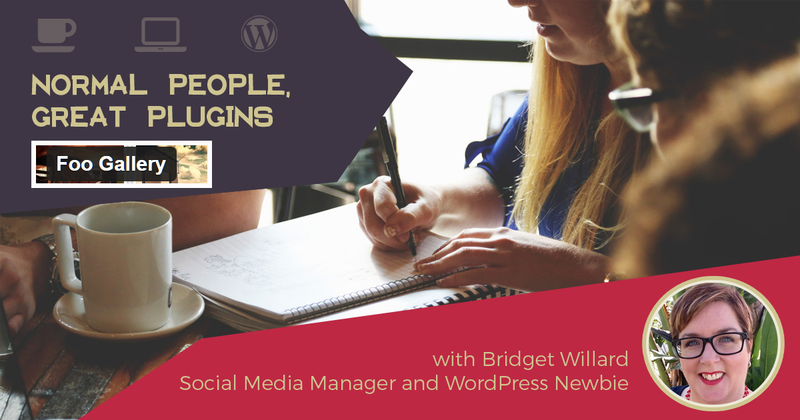 A photo gallery that uses the native WordPress media library. I could not contain my elation. [In a cheesy announcer voice] But wait. There’s more. I can reorder photos using drag and drop. [In a cheesy announcer voice] If you act now. We don’t have to re-write captions. Yes. You read that correctly. FooGallery uses the descriptions and captions you wrote when you uploaded the photos. You did that, right? In the first ten minutes, I was in love. Where had FooGallery been my whole life? That wave of emotion occurred in the space of ten minutes. 30 seconds to find. 30 seconds to download. 30 seconds to activate. Now you have a FooGallery option in the sidebar. Click add gallery. Click add media. Choose your photos. Choose your portfolio. Check out the options. There are several free options. I used “Simple Portfolio” because of the way it displays the caption and description. Ya, I still had trouble. I wanted my photos to open up in a pop up like in the demo. I didn’t know that was called a lightbox. So, I had to go read directions (duh). The lightbox is an extension (a plugin for the plugin). 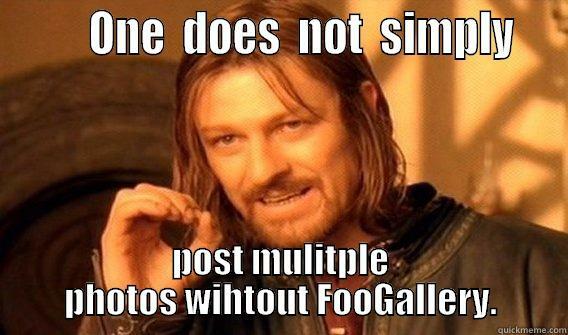 Go to FooGallery in the side of your WP Admin. Click Extensions. Extensions add paid or free functionality. I chose FooBox Free. After you click download you have to click activate (just like other plugins). 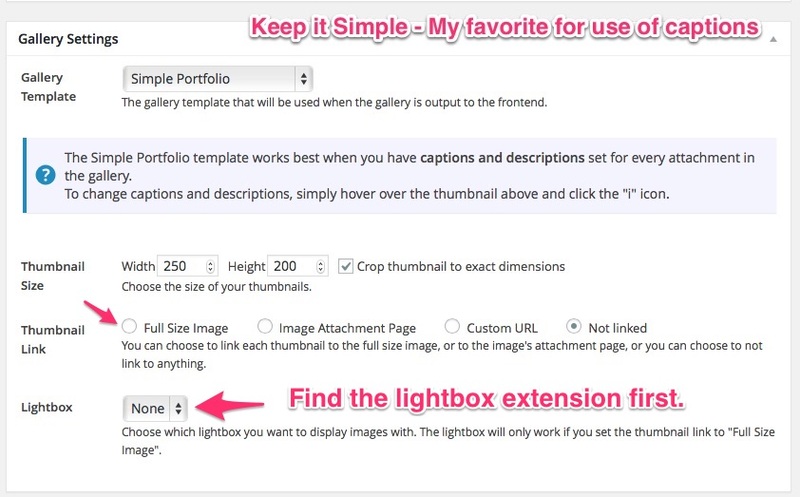 Then make sure you choose “Full Size Image” for Thumbnail Link and then you will see a choice for lightbox. 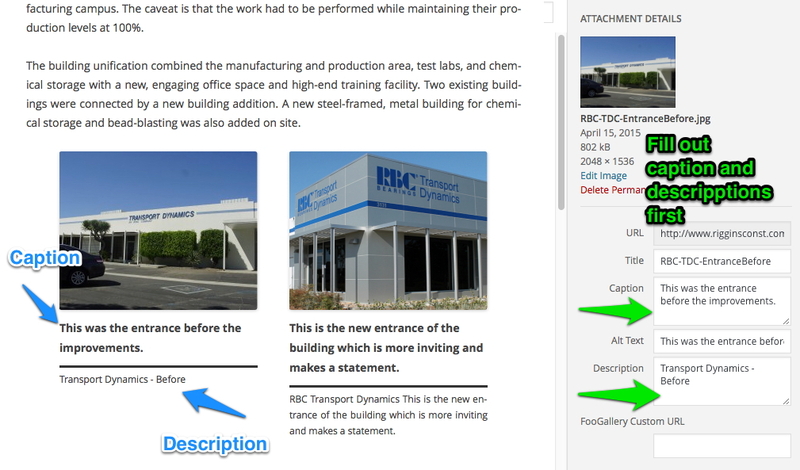 Once you have your gallery complete, click publish and copy the code on the right. Paste that code in your post or page and it renders. Save and publish. I had the gallery up and running in 20 minutes. You can easily spend hours tweaking this; but out of the box, I’m happy as a clam. The cool thing is that you don’t have to use the same gallery style throughout your site. Each gallery can be different. So the next time you want to share your vacation photos from The Grand Canyon, the step-by-step process to your prize winning lasagne recipe, or your construction project before and afters, you must try FooGallery. I tried it. Will you?